Lexus of Windsor is a Lexus car dealership in Windsor, ON. Serving Windsor, Essex, Leamington and the surrounding area, Lexus of Windsor offers new and pre-owned Sedans, Hatchbacks and SUVs. Mark Triembacher is General Manager of Lexus of Windsor. Products Carried: Lexus of Windsor offers new and pre-owned Lexus vehicles in Windsor, ON. The Lexus car dealership offers repairs and service, parts, tires, and financing options. They are the primary car dealer offering Sedans, SUVs, and Hatchbacks in a multitude of colours. 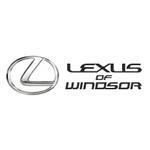 Lexus of Windsor serves Windsor, Essex, Leamington, and the surrounding area.